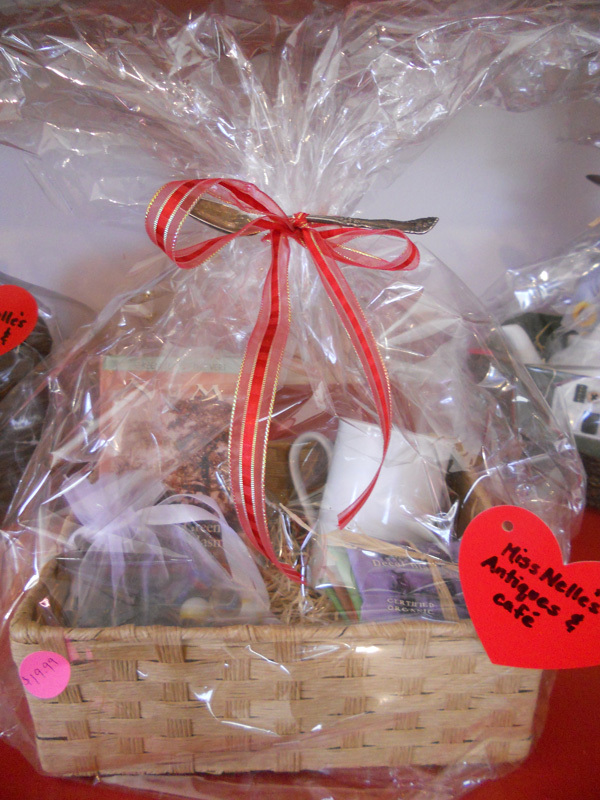 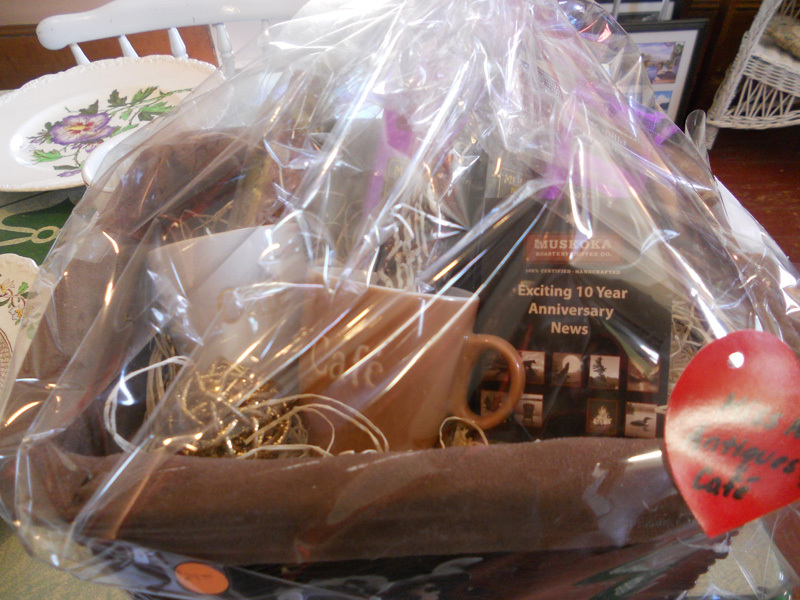 Miss Nelle's had ready made gifts that work for any occasion - Ready Made Baskets, Coffee Lover's, Tea Time, Maple Bucket, Kidding Around (prices vary). 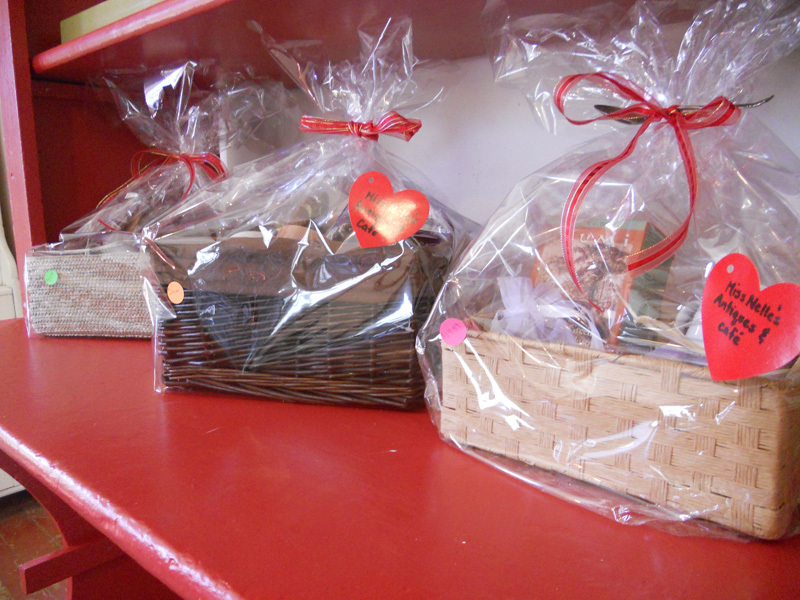 We can make a basket that works perfectly for you. 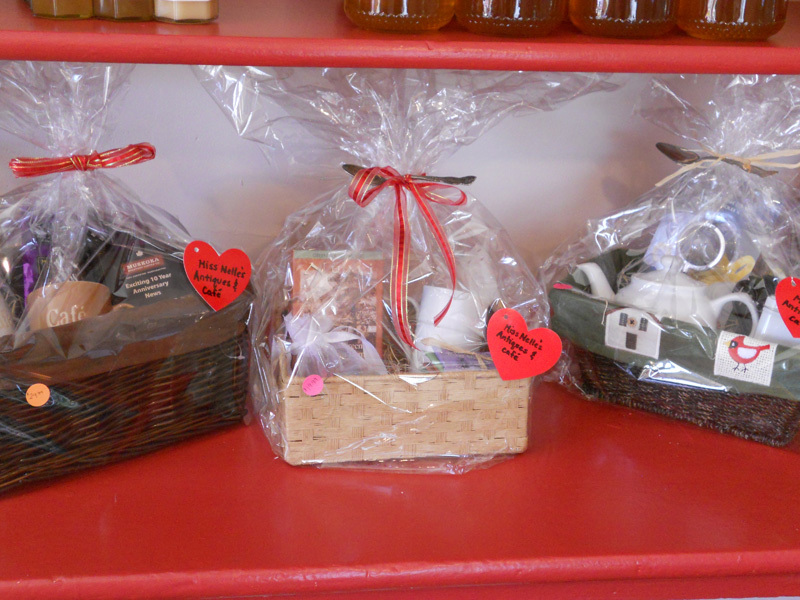 Look through our many rooms of antiques for that perfect piece and let us put it in a basket with some our Savour Muskoka Products such as honey, syrup, coffee or some of our loose leaf teas. 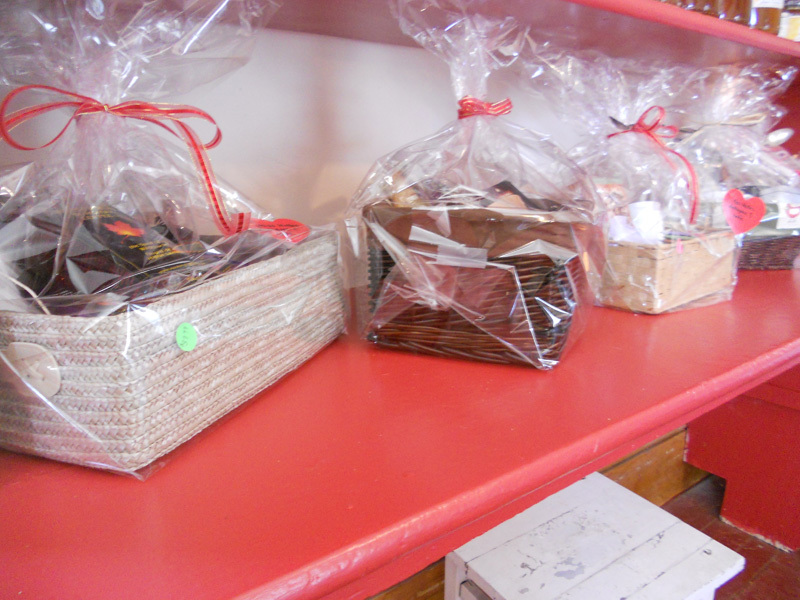 You can start your basket off with something from one of our talented local artisans. 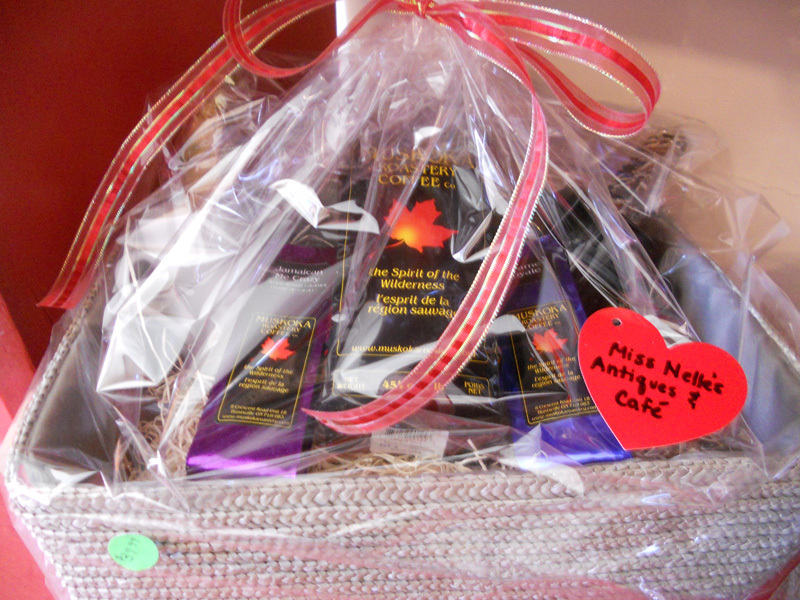 We carry pottery from The Muskoka Potter, Jewelery from Echo Jibe Jewelery, soap from The Log House Soap Company as well as some Miss Nelle's products. 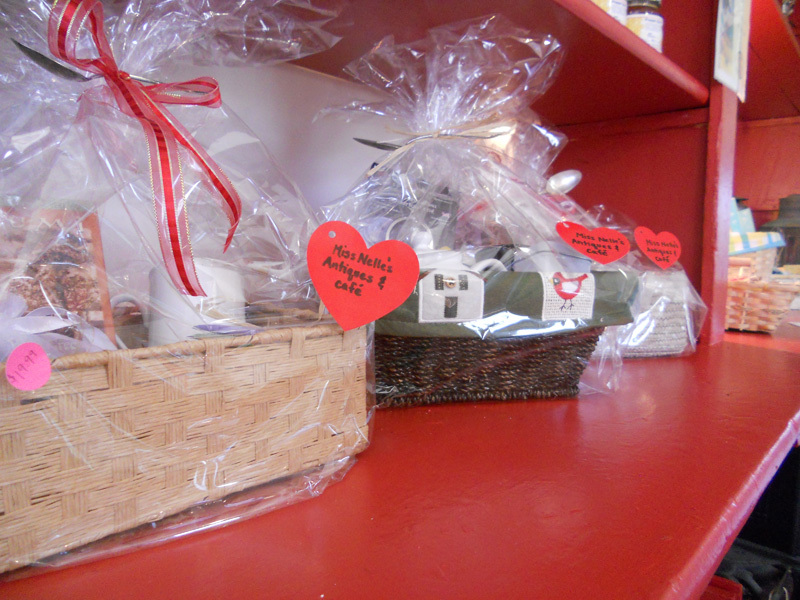 Stop by and let us help you find that perfect gift today!